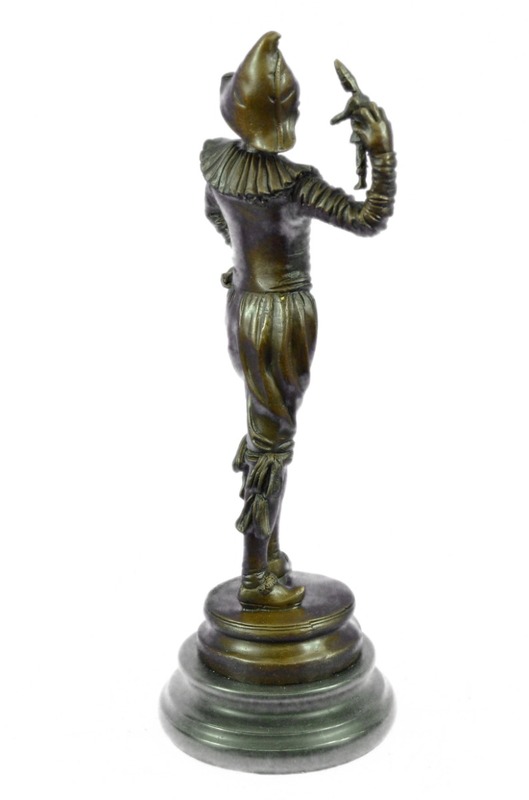 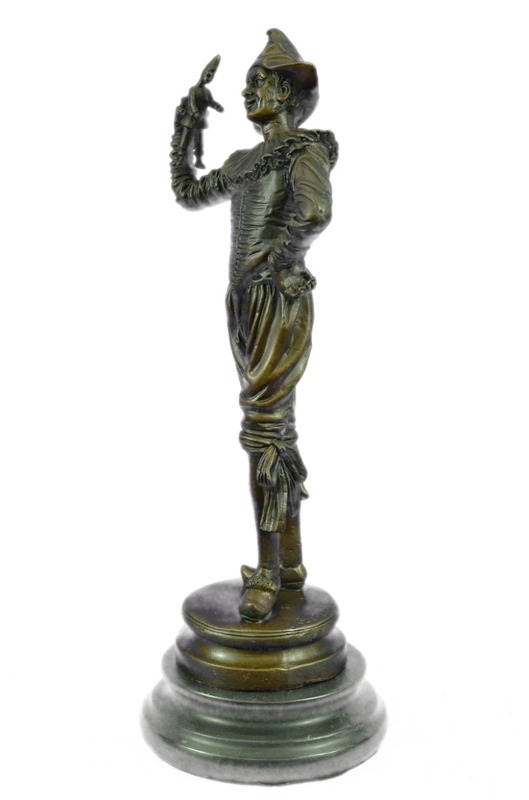 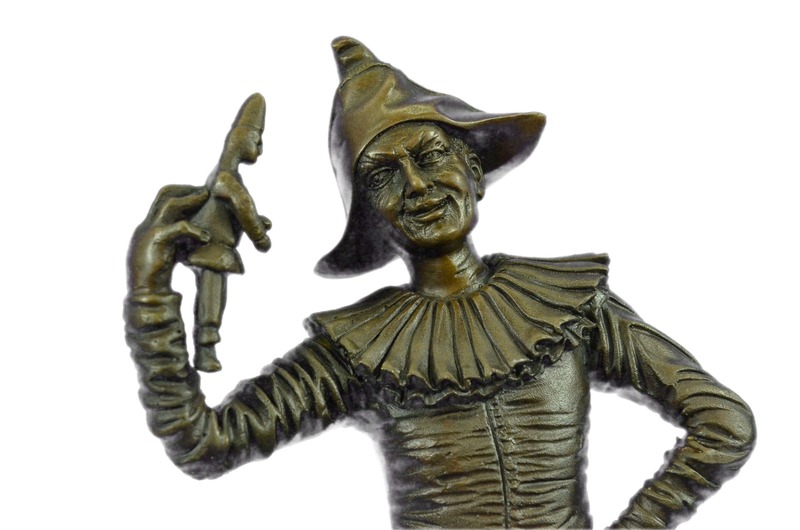 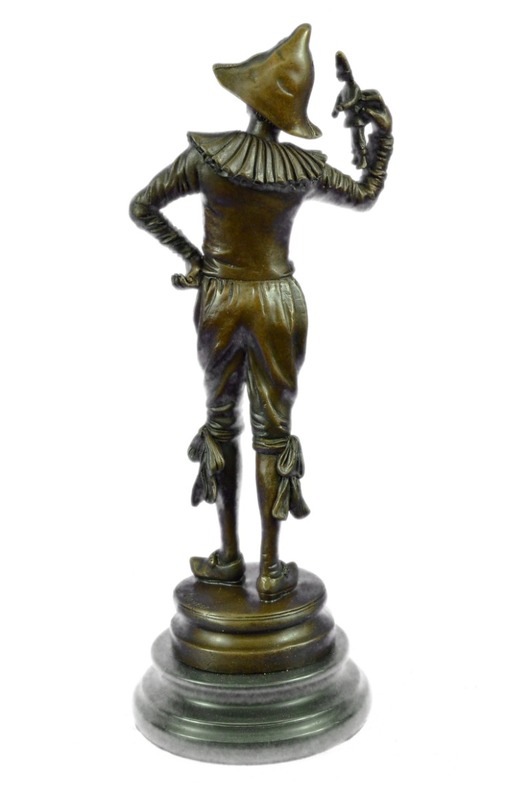 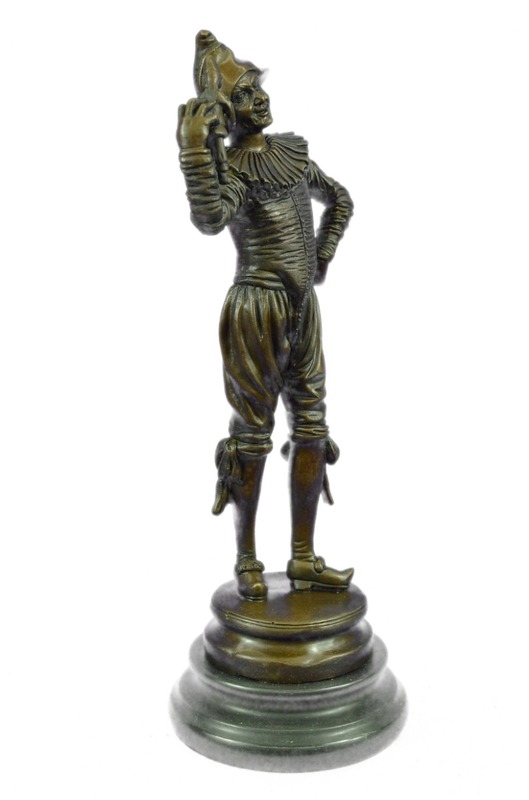 This Lively Dancing Jester Is Depicted In The Art Deco Style Inspired By The Work Of The Prominent Sculptor Gueyton . 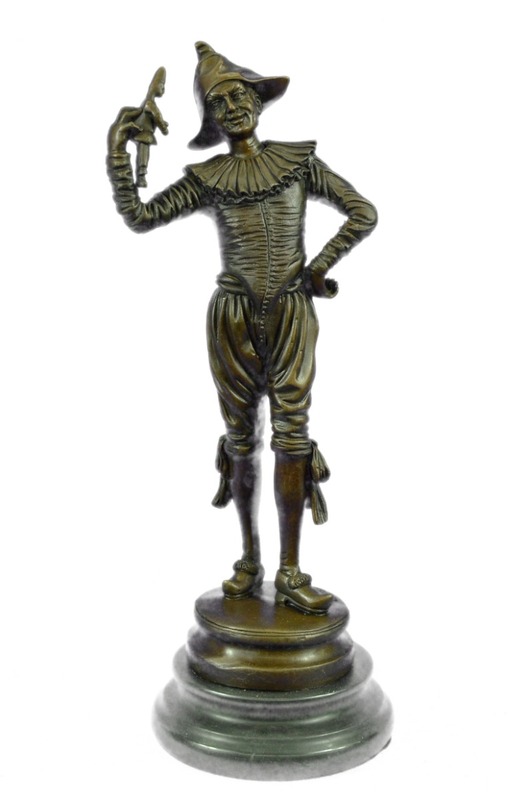 Hunched Backed Jester Claims Immunity To The Jibes Of His Hunchbacked Zany. 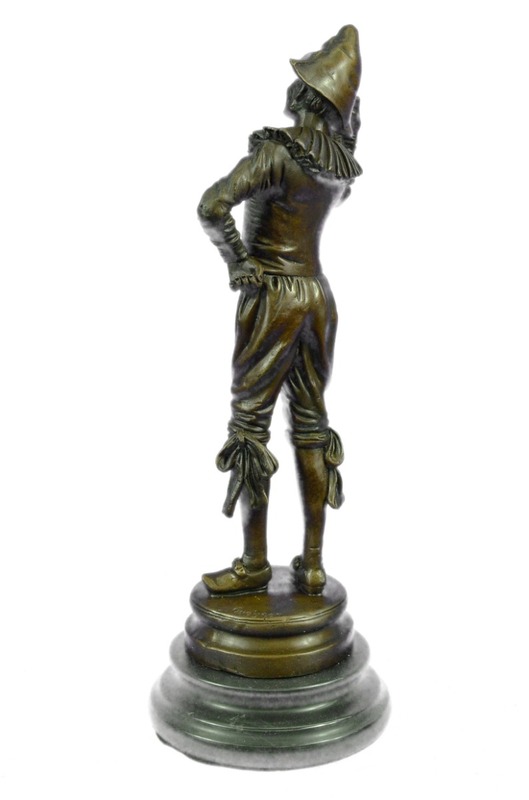 Often These Clever, Royal Clowns Would Exert Great Influence On Their Patrons, And Add A Wonderful Touch To Any Space. 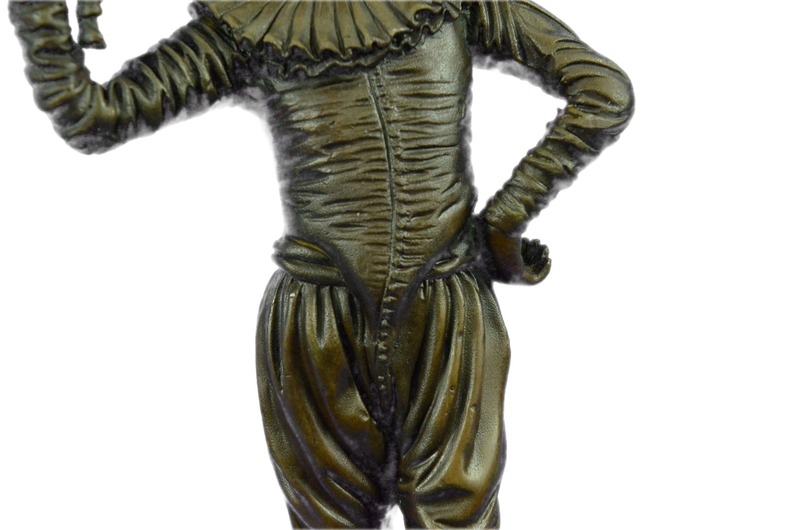 The Handmade Bronze Sculpture Was Molded Using The Ancient Method Of Lost-Wax Casting And With Skin Tones Stained With A Brown Patina Finish For Preservation. 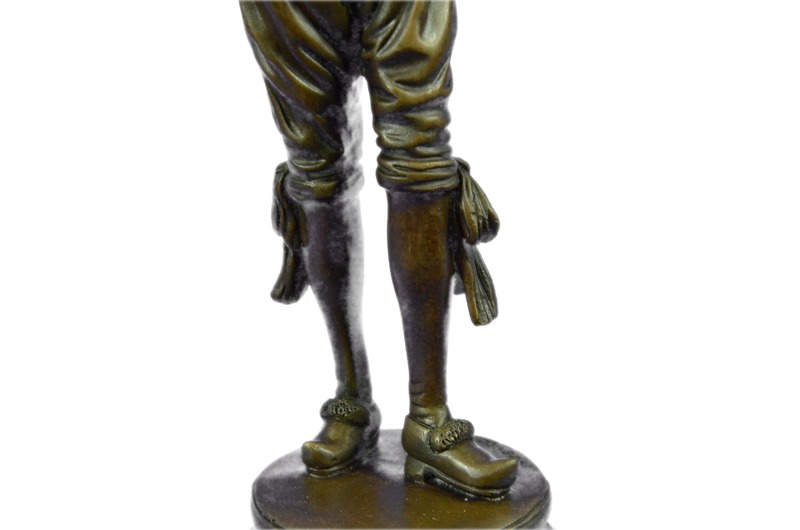 It Is Mounted Upon A Black Marble Base With The European Bronze Finery Stamp Of Quality And The Artist Gueyton'S Signature.